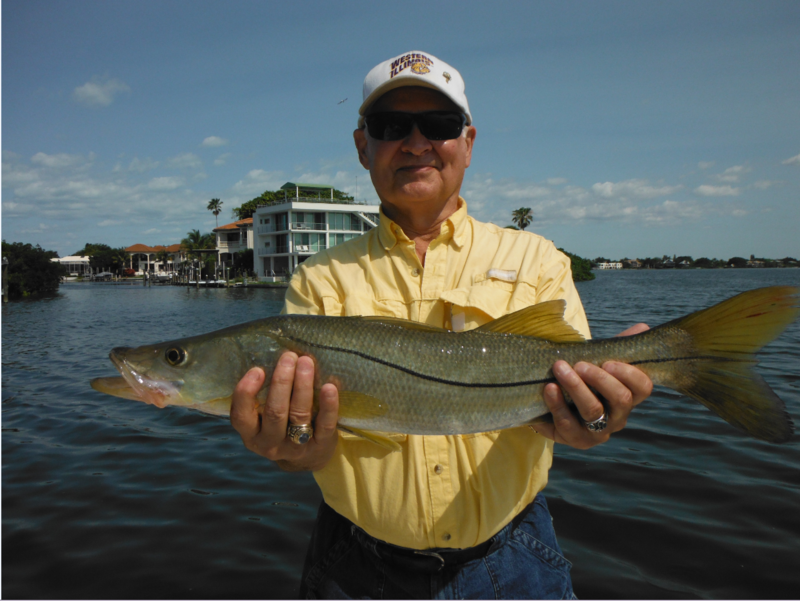 Action on the deep grass flats from the north end of Siesta Key should be very good for speckled trout, along with bluefish, Spanish mackerel, ladyfish, pompano, and jacks. A high tide in the morning is favored for anglers to drift the flats and cast Bass Asassin jigs, Rapala plugs, spoons, and live shrimp under a popping cork. Netting up a bunch of shiners and chumming the deep flats will usually result in non-stop action. The flats and oyster bars south of CB’s Saltwater Outfitters at Stickney Pt. down to Blackburn Pt. will hold some nice trout in July, and that area gets very little pressure in the summertime. The key is water temperature; if it is too high the bait and gamefish will not be there. Redfish and snook will also cruise the bars and shorelines in search of prey. Areas that drop off quickly into three or four feet will be the most productive spots. A hand-picked shrimp is deadly fished early in the morning on a high tide. Anglers choosing artificial lures will score with topwater and shallow diving plugs, scented soft plastics, and weedless gold spoons.